Got an Instant Pot? 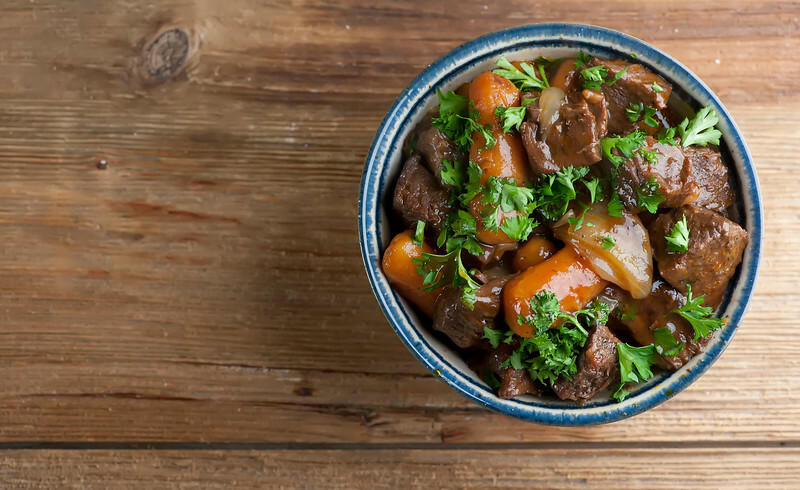 Whip up this classic supper in a jiffy with this recipe for easy Instant Pot Beef Stew. The rich hearty flavor that everyone loves in speedy enough for a weeknight pressure cooker form! Are you the proud new (or proud experienced) owner of an Instant Pot? ME TOO! And if you just got yours over the holidays, I bet you are dying to rev it up and give it a spin. I got mine a few months ago, so I’ve done a whole bunch of test runs for us, and I’m here to tell you that if you make rice, or grits, or hardboiled eggs on any type of regular basis your life is about to change. But I gotta say that my current favorite Instant Pot creation is one that I came up with on my own, and that’s this rich, hearty beef stew. Which is now ready in under an hour, as opposed to the eons it takes in the slow cooker or the regular old stove. So…ready to make beef stew in a reasonable amount of time on a weeknight? Get out that Instant Pot and let’s make it! Full disclaimer by the way: the Instant Pot people don’t know me, and as far as I know they don’t know about my blog, so just know that you are getting my pure and unadulterated love for this gadget. And given all the other stuff in my kitchen, you know that it takes something pretty marvelous for me to make room in my kitchen cabinet. And it IS pretty dang marvelous. Meanwhile back at my holidays, while I already had an Instant Pot, I did get my very favorite giftie, which was the annual watching of Love Actually with the Southern daughter. Happy sigh. 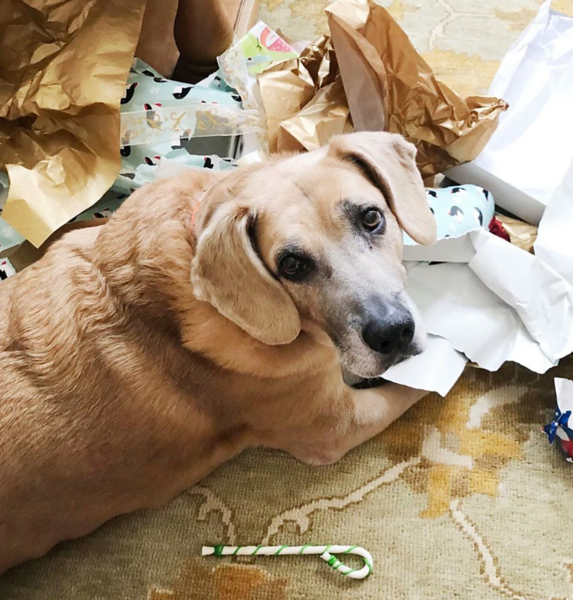 Other members of the family were very content to roll around in the wrapping paper chaos with their rawhide candy cane. And a good time was had by all! And in between all the eggnog and cookies and roast beast, I did have to work in other regular meals, which is where this super easy, toss-it-in-the-Instant-Pot-and-push-the-button beef stew comes in. I like a beef stew with a lovely little sauce, so I toss cubes of beef chuck steak with a little flour before I toss it in the Instant Pot. The flour will mix with the wine and the tomato sauce as everything cooks up together to make that delectable sauce. Some baby carrots and chopped onion and a little balsamic vinegar round everything out. So! Put everything in the Instant Pot, close the lid and make sure the pressure release is closed. Press the Stew/Meat button…the Instant Pot will take about 10 minutes or so to build up pressure. You will know when that has happened because the timer will start counting down from 35, and the red float button will pop up. When the timer reaches zero, leave it alone for another 10 minutes, and then carefully switch the pressure release to the venting position. I like to do this with an oven mitt because as soon as you open it, steam is going to pour out and I want there to be ZERO chance of the steam hitting my hand. Now open the pot, give everything a stir and ladle it out! 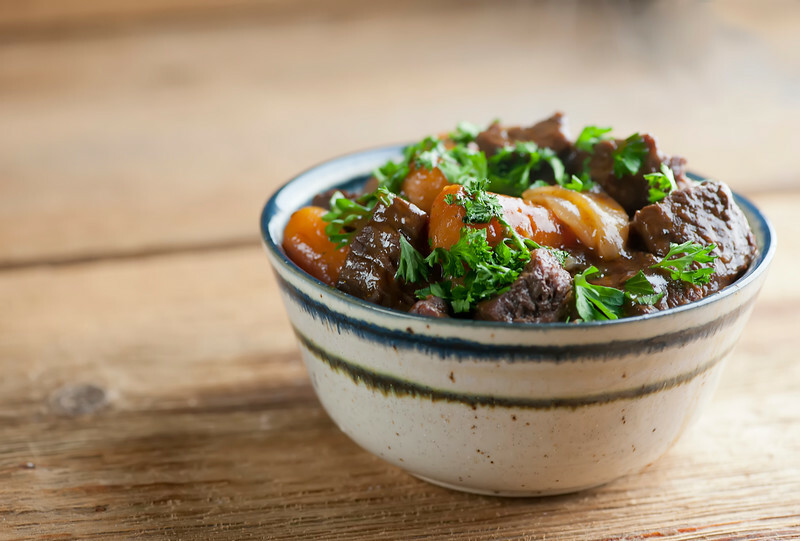 I like to scatter a little parsley on the top of everyone’s bowl of beef stew deliciousness. Happy Easy Instant Pot Beef Stew everyone – and if you have a favorite Instant Pot recipe, leave it for us in the comments! Place the beef cubes and the flour in a plastic ziplock bag. Shake until the beef is coated. Place the beef in the Instant Pot, discarding any excess flour. Add all remaining ingredients except parsley to the Instant Pot and give it all a stir. Place the Instant Pot lid on and close, and switch the pressure release to the sealed position. Push the Stew/Meat button. Your Instant Pot will take about 10 minutes or so to build up pressure, then it will cook the stew for 35 minutes. When the cooking cycle is over, let the stew rest in the pot for 10 minutes without turning it off. Now carefully switch the pressure release to the venting position (I do this with an oven mitt so none of the steam has a chance of getting on my hands.) Let the steam release until the red float button drops down. Open the lid, give everything another stir and ladle the stew into bowls, scattering some chopped parsley on top. I don’t have one of these pots, can I use my pressure cooker?